After its production of A Midsummer Night’s Dream last year, Watch Your Head returns to the Savill Garden in Windsor Great Park with a promenade performance of As You Like It. 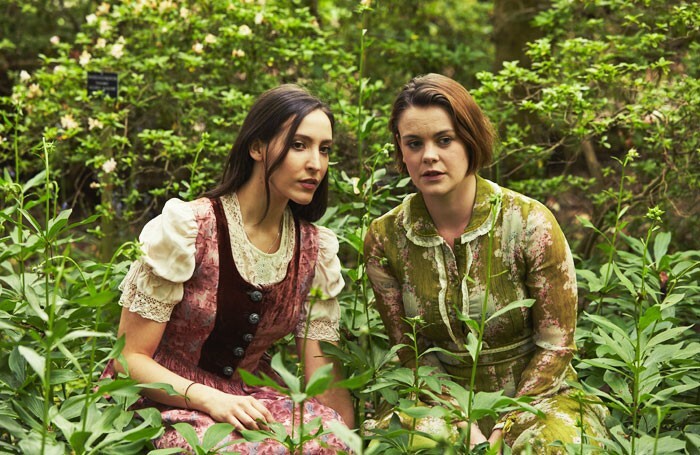 This pastoral romantic comedy with its cross-dressing role-playing and whimsical wanderings benefits from being staged in the country’s finest ornamental garden. Although director Sasha McMurray doesn’t offer any novel insights into the play, good use is made of the varying locations in this site-specific show, ending up back at the visitors’ centre terrace for a communal wedding feast. Turning the sylvan folk into circus acrobats and aerialists is an entertaining diversion, even though it seems a bit extraneous, while Bruno Major’s laid-back jazz and Annina Pfuel’s stylish 1930s-influenced costumes add to the sense of playfulness. Anna Lukis makes an attractively high-spirited Rosalind, gamely embellishing her male Ganymede persona with a swagger if a little underpowered vocally, while as the more pragmatic Celia the excellent Molly Hanson undercuts her cousin’s romantic dreaminess to great comic effect. Lewis Goody does well to suggest Orlando’s bemused wooing, with a jaunty Oliver Grant in the cut-down role of Touchstone and Jack Bannell shining as a drolly melancholic Jaques who is far too entertaining to be left alone “under the greenwood tree”.